WrapTop slips under the base of the laptop and wraps around the front and top to reduce magnetic field emissions and protect your body. It reduces the field by 90%. 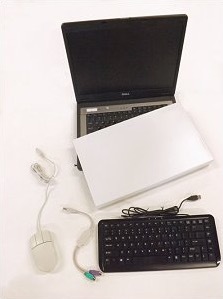 Sides are left open so you can plug in a remote keyboard and mouse for access. Simple but effective design incorporates two different magnetic shielding alloys. Measures 15 inches wide x 9 inches front to back so it fits most laptops. Just slip it on. No tools nor assembly required. 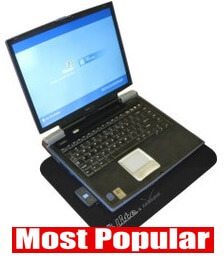 This setup allows the user to enjoy all of the shielding benefit of WrapTop, sit further away from the laptop, and still have all the functions of a full keyboard and mouse. Bundled together like this saves $10 over buying items individually. Not for use with MAC! This 40 dB VeilShield fabric is great RF and 100% E-field shielding, these framed shields can be custom made in any size up to 16" x 28". Highly transparent. 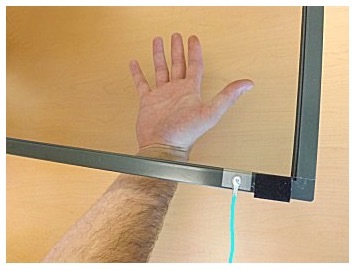 Can help reduce sensitivity to electric fields. Frame is 3/4 inch wide, 1/4 inch thick. Includes 6 foot ground cord. Attaches to your display with adhesive hook and loop (included) Note: If you cover a touch screen, you cannot use the "touch" feature. Not recommended for high resolution work. Wrap your desktop tower with magnetic shielding foil to reduce magnetic fields. 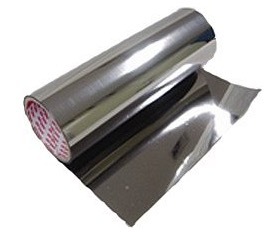 The most importnat thing is to increase your distance from the tower, you can wrap the tower in magnetic shielding foil to greatly reduce magnetic field emissions. Simply wrap it like a birthday present. You can seal the seams with duct tape. Leave some opening for air circulation and access for cables. Notes: metal edges are sharp, use caution when handling. Foil is thin and flexible and can be easiy cut with scissors. 15 inches wide x any length you like. Minimum order is 1 linear foot. This pouch is a shielded pouch with 2 pockets. One pocket is shielded on both sides, the other pocket is shielded on only one side. 1. Put your device inside the pouch which is shielded on both sides. Radiation emissions will be reduced to almost zero. This is ideal for when you are not working on the device but you need to keep it in the same room with you. 2. Put your device in the pouch which is shielded only on one side. This allows continued communicate with your router but shields your body on the shielded side of the pouch - your radiation exposures are not zero but they are lessned. This position also protects the tablet from getting damaged as you carry it around. 3. While working you can put your tablet on the outside of the iPad Pouch, as shown in this image, to shield your lap, belly, or legs underneath the pouch from radiation. This pouch has a simple fold-over top with Velcro closure. 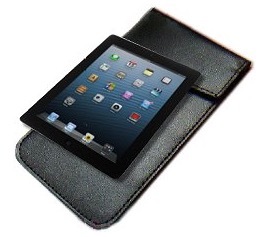 Pocket measures 11.4 x 7.8 inches (29cm x 20cm) and has a durable black leather-like finish.